ConCarolinas 2013 was a blast, with the indomitably fun and goofy Mikey Masey, a leatherworking demo from the Red Dragon Lord himself, writing panels with authors like Carrie Ryan (Forests of Hands and Teeth), the Pineapple-Shaped Lamps shadowcasting Dr. Horrible’s Sing Along Blog, and more. I’ll recap some of the things I liked best about the con, and if you want to attend next year, visit the ConCarolinas website! Don’t forget to answer the poll at the end of this post. As usual, Mikey rocked the house. Sadly the audience seemed less responsive than last year, but some people (like us) still sang along on songs like Kobolds Ate My Baby, Best Game Ever, and my personal favorite, She Don’t Like Firefly. He also did a few songs he didn’t play last year (or at least I don’t remember them so they were new to me), like My Next Girlfriend and one I don’t remember the name of about taking over the world… Which rocked. I was amused / mortified when Mikey Mason seemed to single us steampunks out for the song Steampunk Enough. (Or me specifically. Could just be my ego talking, of course—pick me!) But he really picked on the younger members of the audience the most, so I can’t be too mortified. Apparently ConCarolinas has a PG rating, but don’t tell that to James R. Tuck! We also went the Pineapple-Shaped Lamps version of Mystery Science Theater 3000. 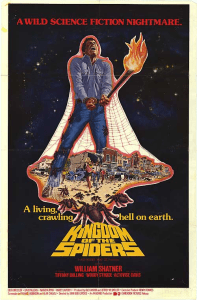 They riffed Kingdom of the Spiders (1977 with William Shatner), which was truly awful, so they had lots of great material to work with! (As you can see from the poster…) It was hilarious, though I didn’t stay long. Plenty of writing panels to get to. Also from Pineapple-Shaped Lamps was a shadowcast of Dr. Horrible’s Sing-Along Blog. It was AWESOME. My brother and I sang along on a few of the songs. The shadowcast actors did a great job with limited props and setting. They utilized both the entrance and exit doors to the panel to exit the “stage,” which was really the whole room. And as the audience, we played the audience at the end during the climactic battle between Dr. Horrible and Captain Hammer! Next up: writing panels and con tips. Use the link to jump down if you want to skip my writing notes! As usual, I tried to pack in as many writing panels as I possibly could. Here’s the table of contents. I’ll go into more detail on each below. Click the panel names to jump down. Or skip all the way down to my con tips. And don’t forget to answer the poll at the end of this post! Allen Wold did a great job leading the Creating the Truly Alien panel. An alien’s desires may be completely different than ours, and incomprehensible to us. What environment did they evolve in? What threats did they face? As a storyteller, what do I need from this alien and how can I explain its actions? How can you take an Earth animal’s behaviors and make them alien? What would happen if you added intelligence to this particular Earth animal? What makes something alien is its thoughts more than its form. It’s culture and nurture moreso than nature. Even a human can be alien if raised in an alien environment. Future humans and past humans would be aliens to each other. Reincarnated people would be aliens to each other. Science fiction readers enjoy reading aliens because they’re unfamiliar enough to intrigue us. Science fiction fans want to think, to puzzle something out. James mentioned that aliens make a safe harbor to explore something that may be inflammatory otherwise. Such as allowing us to explore a victim’s eventual acceptance of their victimization. This panel definitely reinforced the idea that all writers have a different process. David mentioned that when he doesn’t have the right word, he has to look it up immediately. Not everyone does (I don’t!). It was also full of interesting tidbits like the fact that the concept of “paranoia” didn’t exist as a concept until closer to the 1900s. It’s a good idea to have someone else read your work out loud. It’ll really help you hear where you’ve used the wrong word. You’ll hear where it sounds contrived. Printing it out and seeing it in a different format may also help. Naturally you should avoid writing “gotcha” characters. Above all else, your characters should be like real people. For instance, some people view people with disabilities as burdens to society, but the disabled have talents and skills just like anyone else. Use the character’s backstory to round them out, rather than being “the black guy.” What culture and religion did they grow up with? A Japanese-American growing up in the US has a very different cultural backstory than a kid growing up in Japan. Remember there’s a difference between cultural heritage and a cultural stereotype. Need to see culture from the inside. Don’t overuse colloquialisms and accents. Much to the moderator’s surprise, the panel didn’t devolve into obnoxious offensiveness, and everyone was on their best behavior until the end. YA tends to be 13 to 18. Younger is Middle Grade. Davey Beauchamp made a point to remind us that YA isn’t just the kids. It’s also the 18-year olds. Which is why Harry Potter, Twilight, and even the Sookie Stackhouse novels can be shelved as YA. As A.J. found out, killing a child in Middle Grade fiction is pretty much forbidden. Even in YA it’s frowned upon, but anything can happen. For writers, it’s great because you don’t have to explain as much — kids want to puzzle it out. Also minority, LGBT, and other characters have greater freedom to be themselves, since writers don’t have to spend as much time counteracting real-life stereotypes. Gail Z. Martin did a great job moderating and coming up with questions for the panelists. We could tell the panelists were tired, but they delved into the deeper issues right off the bat. I was afraid My Hero and My Heroine would be repetitive, but the two panels were very different and touched on very different gender issues. From the Industrial Revolution up through modern times, we had clear gender roles. But before the Industrial Revolution, there may have been less of a gender role separation. For example, women worked alongside men on the farm. Heroes with post-traumatic stress disorder (PTSD) are a pretty new phenomenon. 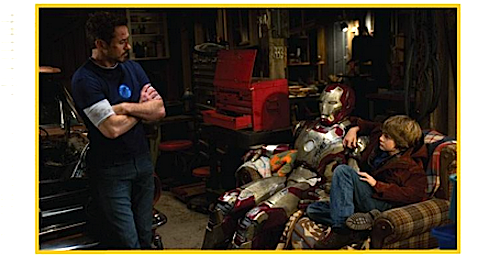 Audiences don’t want an invincible hero… they want some vulnerability and complexity to their heroes. And PTSD allows authors to explore emotional issues. Males and females have a different way of dealing with self-image. Ask yourself how much is gender about a character responding to their environment and culture versus actual “natural” differences? For instance, dress codes for girls reference modesty… not so for boys. The difficulty with writing female protags is that sometimes you feel you have to speak for the whole gender. Or that readers will see your heroine as Woman, an archetype / stereotype. On the other hand, one of the panelists said that the tradeoff is having a greater emotional range. Readers sometimes don’t like heroes having certain reactions that they find perfectly acceptable with a heroine. James Maxey moderated this panel and opened by saying that improving human life has been a constant desire throughout history. We learned to wash wounds and not to put drinking water with waste. The main question behind this panel was how we will evolve beyond homo sapiens sapiens. Genetically? Augmenting with technology? Spiritually? We mainly touched on tech, although one panelist noted that colonists of other planets may experience genetic drift and become a different species after enough time. In Ancient Greece, the shift from the oral tradition to writing brought many of the same complaints as smartphones bring today. People have no memories now! They can’t remember the entire Iliad. It’s all a matter of perspective. If we had the capability to have a perfect memory, we wouldn’t want it. Failing memories keep us sane. We can move past tragedy and filter out unimportant details of a memory. With our brains, the more frequently you remember something, the more you degrade that memory. Recall = rewrite. Some people would be against any type of tech enhancement if their current limbs / organs work fine. “If it ain’t broke, don’t fix it” mentality. Most people seem to be most accepting of wearable or removable technology, like smart hats, or exoskeleton suits, or Google Glass. People want to see a human when they look in a mirror. Many different forces come into play in acceptance of technological enhancements. Culture. Celebrity adoption. Giving people a leg up competitively or occupationally. Cool factor. Oftentimes, tech is to “fix” something, like eyeglasses. Once it’s adopted for that purpose, if it becomes an enhancement and improves our quality of life, it’s more acceptable. Improvements to look forward to include hemoglobin replacement that allows you to hold your breath for an hour. Nanotech that will mimic cells and make repairs. Connectome is on the way. All the neurons and connections in your brain. John Hartness led this panel, which was essentially a book launch, since it didn’t work out the night before. 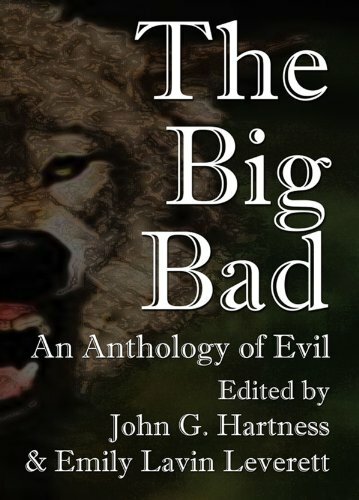 He introduced each member of the Big Bad Anthology and let them talk about their story in the book. Plus, there was alcohol! We had a great time. As is often the case with this new part of the industry, all the information provided here was anecdotal. It’s hard to get industry-wide information on something like this, but one panelists comment really stood out to me: The game is very different for someone who starts out as self-pub. In other words, you need realistic expectations if you’re going to self-publish your first book(s). Remember that many of the self-pub suggestions out there are made by people who were traditionally published first, so they already had an established fanbase. Forwards and blurbs are a great place for friends who are invested in your success and well-being to help you out. Oftentimes friends aren’t sure what they can do to help. And remember to ask people for blurbs but be willing to take no for an answer. If you get a blurb, put it on the cover just like a traditional book would. All the panelists seemed to agree that scifi cons are a great place to market and mingle because it’s your target audience. Word of mouth is extremely important, and if you can get just a couple people interested, it can spread after they leave the con. As for online marketing, panelists agreed that a poor cover is the #1 deterrent for buyers who might otherwise be interested. Remind your cover artist that it has to look good as a thumbnail as well. Make sure you get to approve both the regular size and thumbnail size. Remember that the cover needs to give an idea of your genre. YA vs. adult covers are very different. SF vs. paranormal romance would be quite different. Even epic fantasy vs. urban fantasy are different. If you’re not doing well in a category on Amazon, changing categories can make a huge difference in sales. Being in a smaller category where you can get a higher ranking can help. Although it’s called “self” publishing, remember you need others’ help! Editing is usually the biggest expense, but Aaron mentioned that he’s part of Crazy 8 Press, an authors’ collective where they exchange their non-writing skills (editing, book cover design, website design, and so on). Pursue reviewers and build a relationship with them over time, book after book. Being reviewed on io9 is a good boost, but hard to pursue. Don’t read critiques, reviews, or edits on a bad day! Don’t make a book trailer unless you can make a really good one… Remember that with the Internet, your trailer will be out there forever. As a self-published author, you’re also the publisher, so treat it like a business. Packaging your product is a lot of work. But don’t beat yourself up when you make mistakes. It’s okay to learn as you go. Tamsin reminded everyone that no one is born knowing this stuff. Wolfgang reminded everyone that as an author, you have to learn to brag about yourself. Tell people you love your books. Be sincere. This was a great panel! If you miss a panel you were looking forward to, don’t stress. Just remember to enjoy the con. If your costume involves a corset, put your shoes on before you put your corset on… It’s easier to bend down! If your costume involves headgear, you may want to remember to take it off before hopping in the driver’s seat. If you’re sitting on the front row, remember there are PEOPLE BEHIND YOU. Don’t hog the panels by asking so many questions that no one else gets a shot. DON’T interrupt or talk over panelists. Ever. Seriously. This should go without saying… sadly, it does not. If you’re an audience member, raise your hand and wait to be acknowledged before asking a question or making a comment. In either case, keep it very short and to the point, and don’t ask two-part questions or more than one question at once. Panels are only an hour long… they can only cover so much. Let other people get a chance to ask questions too. Did you attend ConCarolinas 2013? What did you find the most interesting? If you’re a writer, which panel was the most informative for you? Leave a comment below or find me as +Traci Loudin on Google+, the perfect place for fans of science fiction and fantasy to hang out.